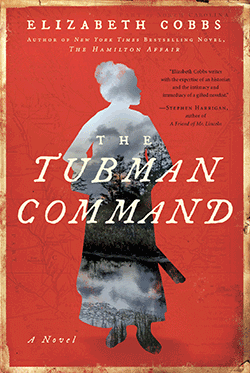 The Tubman Command is an impeccably researched historical novel that brings to light the bravery and brilliance of American icon Harriet Tubman. It’s May 1863. Outgeneraled and outgunned, a demoralized Union Army has pulled back with massive losses at the Battle of Chancellorsville. Fort Sumter, hated symbol of the Rebellion, taunts the American Navy with its artillery and underwater mines. In Beaufort, South Carolina, a female spy, code named “Moses,” is hatching a spectacular plan. Hunted by Confederates, revered by slaves, a bounty on her head, Tubman plots an expedition behind enemy lines to liberate hundreds of bondsmen and recruit them as soldiers. Gen. David Hunter places her in charge of a team of black scouts, even though he is skeptical of what one woman can accomplish. The Tubman Command tells the story of Tubman at the height of her powers, when she devises the largest plantation raid of the Civil War.